Frost is created when the ambient air temperature drops and and as a result ground-level warmth rises to be replaced by the 'heavier' colder air. When the air immediately above the ground drops to 0°C, the ground itself freezes. Covering your trees provides a physical barrier that stops the warmer air surrounding your trees from rising, which in turn lessens the effect of the outside temperature. It is not possible for cold air to displace warmer air; if the warmer air is retained, the cold ambient air is unable to enter the quarters. Though the air under the covering can and does eventually drop below 0°C it will still remain warmer than the outside temperature. 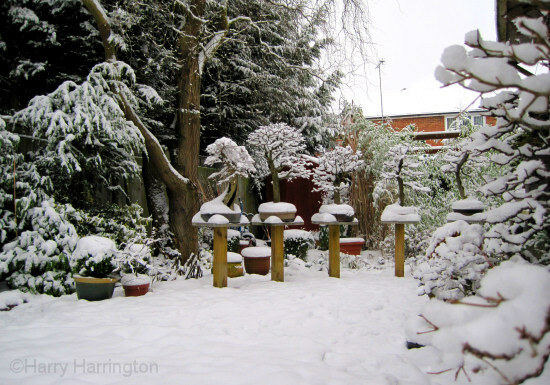 Fungal spores and small pests can also benefit from your trees' frost protection by overwintering in and around the tree itself and the pot. 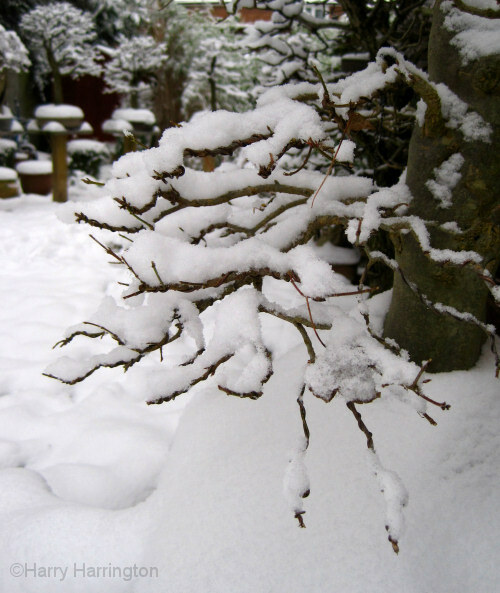 Ensure that all leaves and other debris on the surface of the pot and in the branches is cleared away. Remove all cobwebs and look out for small insects, in particular scale insects. Clean off all algae from the trunk and remove any mosses growing on the surface of the soil. Moss can be placed outside during the winter ready for re-applying in Spring. Deciduous trees have no requirement of light once their leaves have dropped. There are however many differing views on the requirement for light during the winter of evergreen species. The requirement of light in evergreen species is temperature dependant; the rate of photosynthesis drops as the temperatures approach freezing. At temperatures below freezing, photosynthesis does continue but excess light can actually start to cause damage, an effect known as 'photoinhibition'. In conifers and other evergreens, exposure to direct sunlight during periods of sub-zero temperatures can cause damage though this is repaired during the growing season. 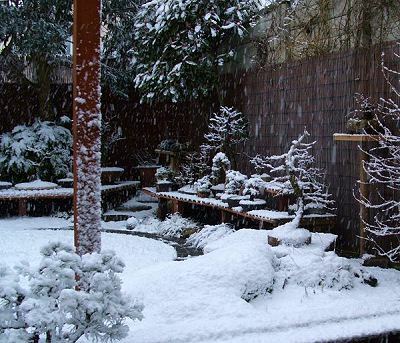 A balance has to be struck when overwintering evergreens, light is still required through the winter as photosynthesis still takes place but strong light or long periods of direct sunlight should be avoided during periods where temperatures are below freezing. During periods of temperatures below -10°C, evergreens can be stored in near dark with no adverse consequences.